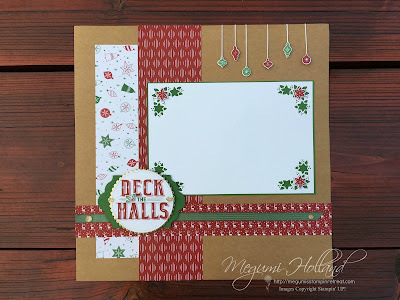 Hello Stampers! 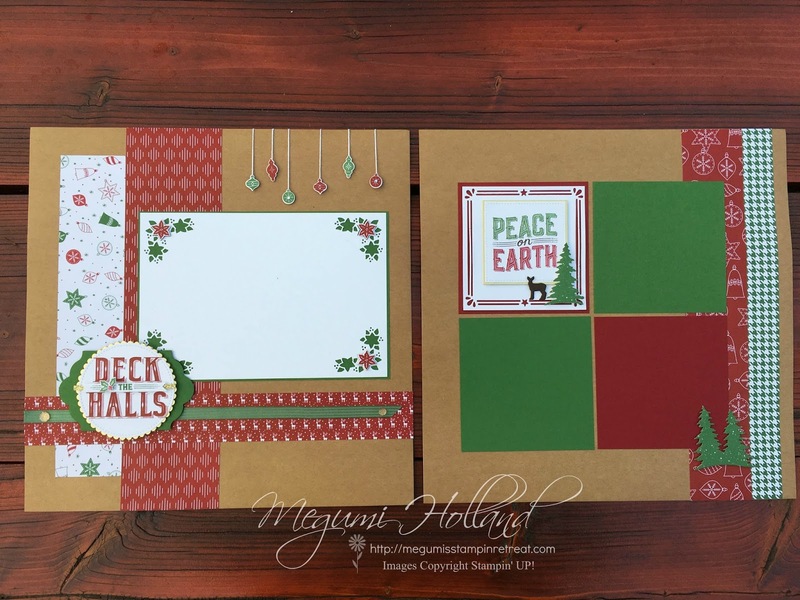 I've been having a lot of fun with the Carols of Christmas Bundle from the 2017 Holiday Catalog. Here is the project we are making in my Scrapbook Club this month. Isn't it pretty? The Card Front Builder Thinlits are amazing! I used two of the corner dies to make a decorative photo frame which is perfect to adhere a 4" x 6" photo. Whisper White (photo frame) - 5-1/4" x 7-3/4"
Garden Green (photo frame mat) - 5-3/8" x 7-7/8"
DSP (Cherry Cobbler/Whisper White) - 3" x 12"
DSP (multiple designs) - 2" x 10"
DSP (Cherry Cobbler with Reindeer) - 1-1/2" x 12"
Here is another cool card front builder die included in this set. With this die you can adjust your paper size. Pretty cool! 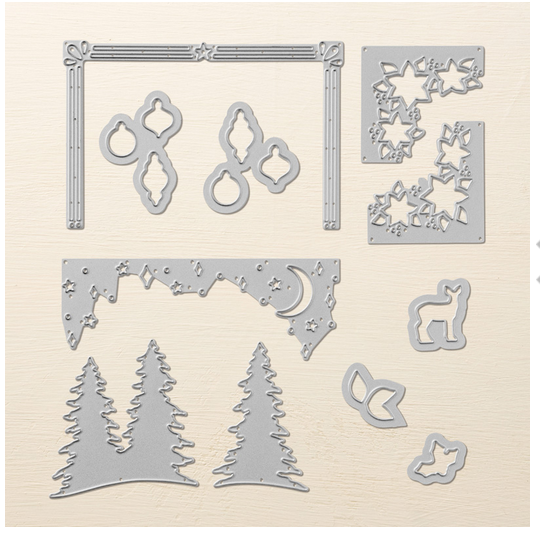 How about the reindeer and tree die cuts? Love them!! 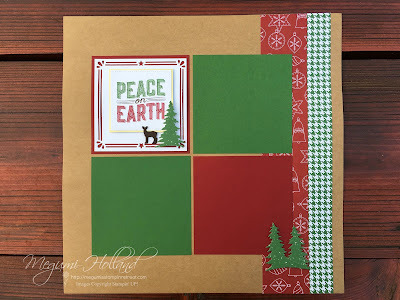 Whisper White - 4" x 4"
DSP (Garden Green/Whisper White) - 1" x 12"
DSP (Cherry Cobbler/Whisper White) - 2" x 12"
Whisper White (Square Stitched Shapes Framelits) - 2-3/4" x 2-3/4"
Gold Foil - 2-3/4" x 2-3/4"